As expected, Saturday’s Ikaroa-Rawhiti by-election, forced by the death in April of sitting Labour Party MP and former Cabinet Minister Parekura Horomia, was won by the Labour Party’s Meka Whaitiri. She took 4368 votes, the Mana Party’s Te Hamua Nikora 2607, the Maori Party’s Na Raihania 2104, the Green Party’s Marama Davidson 1188, the Aotearoa Legalise Cannabis Party’s Michael Appleby 161, and the Independents Maurice Wairau and Adam Holland, 27 and 13 votes respectively. The dismal third-place showing by the Maori Party has been blamed, not only on the long-running leadership wrangle between Pita Sharples and Te Ururoa Flavell, but also on a growing belief that the Maori Party has lost touch with all but the iwi elite. This has resulted in the far-left leaning Mana Party picking up support, prompting leader Hone Harawira to suggest that the Maori Party join Mana in order to hold onto the Maori seats. But quite how the extremist Mana Party could possibly reach an accommodation with the elite Maori Party is not clear, although it does seem likely that the Maori Party will take on a more radical appearance in the future under a new leadership regime, than it has had in the past through the more benign-looking (yet no less radical) leadership of Pita Sharples and Tariana Turia. Over the ensuing years many attempts were made to increase Maori representation, culminating in the 1867 Maori Representation Act, which established four temporary Maori electorates for a period of five years – three in the North Island and one in the South – for Maori men over the age of 21. The task of individualising Maori land tenure proved to be more difficult than expected, and so the temporary provisions – which contained no property qualification at all – were extended for a further five years, and then in 1876, they were extended indefinitely. The property ownership voting qualification for all men was finally removed in 1879, which meant, in effect, that Maori men had gained universal voting rights 12 years earlier than European men. At that stage the temporary Maori seats were no longer needed, and with the introduction of universal suffrage in 1893, any practical reason for separate Maori seats disappeared completely. The 1986 Royal Commission on the Electoral System, which recommended that MMP replace FPP as New Zealand’s voting system, also recommended the abolition of the Maori seats on the basis that MMP would adequately increase the Parliamentary representation of minority groups including Maori. When the MMP legislation was introduced into the House, it contained no provision for separate Maori representation. However, Maori leaders gathered at Turangawaewae and planned a campaign to not only retain the Maori seats, but to increase their numbers. Their success means that Maori are now over-represented in Parliament relative to their proportion in the population. At present 23 of the current 121 MPs – or 19 percent – are of Maori descent, including 8 National MPs, 6 Labour, 3 Greens, 3 Maori Party, 1 NZ First, 1 Mana, and 1 Independent MP. Saturday’s Ikaroa-Rawhiti by-election was run during the four-monthly Maori Electoral Option, which is held every five years following the Census to give Maori voters an opportunity to decide whether they want to be on the General Roll or the Maori Roll for the next two General Elections (new voters can enrol on the Maori roll or General roll at any time). The Option and the Census were due to be held in 2011 but were postponed following the Christchurch earthquakes. This year’s Census was held on 5 March; the Maori Option opened on 25 March and will close on 24 July. The results will then used by the Government Statistician to calculate the number of Maori and General Electorates for the 2014 and 2017 General Elections. The results are expected to be announced in early October, and will then be used by the Representation Commission to determine the electorate boundaries for the next two elections. The proposed boundaries are expected to be released for public submissions in late November 2013, with the final determinations made in April 2014. The first Maori Option, allowing Maori voters to switch rolls, was introduced in 1975, but the number of Maori seats remained fixed at 4. With the advent of MMP, the numbers of voters on the Maori Roll was used to determine the number of Maori seats and the result was an instant increase in the proportion of race-based seats in the New Zealand Parliament: under FPP there were 4 Maori seats out of 99 electorates, or 4.04 percent, whereas after MMP was introduced in 1996, there were 5 Maori seats out of 65 electorates, or 7.69 percent. The 1997 Maori Option saw the number of voters on the Maori roll increase by 17,948 lifting the number of Maori seats to 6. In 2001 an additional 24,144 switched to the Maori roll, resulting in 7 Maori seats, and in 2006 14,914 switched to the Maori roll, but the number of Maori seats stayed at 7. “The Māori electoral population is the group of people whose electorate representation in Parliament is through the Māori seats. It is determined by taking the Māori descent population (i.e. the number of ordinarily-resident New Zealanders who have a Māori ancestor), and assigning a proportion of this group according to the proportion who are enrolled on the Māori roll. So, if 60% of people who are listed on the electoral roll as being of Māori descent are enrolled on the Māori roll, then 60% of the overall Māori descent population counts as the Māori electoral population, and the other 40% are included in the general electoral population. “But how do we know what the Māori Descent population is? Well, question 14 in the Census asks: Are you descended from a Māori (that is, did you have a Māori birth parent, grandparent or great-grandparent, etc)? It is the answer to this question (and not the ethnicity question) that is used in determining the number of electorates of each type. – On their 1991 census forms, 511,278 people indicated they had Māori ancestry. – After the 1994 Māori Option, 51.7% of people who indicated on their enrolment forms that they had Māori ancestry were on the Māori roll, so the Māori electoral population was 264,222 (which is ~51.7% of 511,278). 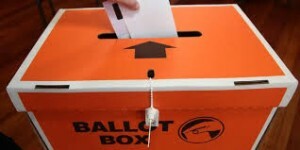 Taking this explanation one step further, the Electoral Act fixes the number of electorates in the South Island at 16, and the South Island quota – obtained by dividing the South Island population by 16 – is used to determine the number of North Island general electorates and Maori electorates. Using the 1994 data, the South Island population was 827,952, which when divided by 16, gives a South Island quota of 51,747. If the Maori electoral population is 264,222, then the number of Maori seats will be 264,222 divided by 51,747, or 5.11, which is rounded down to 5. When researching this issue, it became very clear that a major change occurred in 1997, when the number of people classified as having Maori descent jumped significantly. It turns out that the Government Statistician unilaterally altered the way the Maori descent population was calculated by including in the total a proportion of those people who had not answered the Maori descent question in the Census clearly. Termed “imputation”, the process assesses responses that include “don’t know” or contain a confused answer, to increase the Maori descent population used in electoral calculations. As a result of imputation, the number of Maori seats in 2001 and in 2006, increased to 7 instead of staying at 6. This means that as a result of a largely unrecognised and unpublicised statistical manipulation, extra Maori seats have been in place since the 2002 general election. A further anomaly regarding Maori seats is a question relating to voter numbers. The Ikaroa-Rawhiti by-election results showed a voter turnout of only 35.8 percent of 33,937 enrolled voters. In comparison, voter turnout for the 2011 Botany by-election – a general seat – was 36.4 percent of 42,960 enrolled voters. So the question is, why do Maori electorates have fewer voters than general seats? The answer is largely ‘demographics’. Because electorates are based on the ordinary resident population, then Maori electorates, with a younger population mix, will have fewer registered voters. In 2007, the North Island electorates had an average of 57,243 people, South Island electorates 57,562 people, and the Maori electorates 59,583 people, but with 45 percent of Maori under the age of 18, compared to 29 percent overall, a general electorate seat would have an average of 41,000 people of voting age, compared to around 33,000 in the Maori electorates. All of this is information provides a backdrop to the bigger question that New Zealanders need to be asking – should the Maori seats be retained or abolished? The future of the Maori seats is one of the key issues being addressed in the government’s constitutional review. Anyone who believes that race-based representation has no place in a modern society – that our democratic rights should be based on citizenship not race – needs to tell that to the Constitutional Advisory Panel, so they can report it to the government. In politics, silence is taken as approval of the status quo. If you feel strongly that it is time to abolish the Maori seats – to make your opinion count, you will need to say so. You can email in your submission using the following address: constitutionalreview@justice.govt.nz.